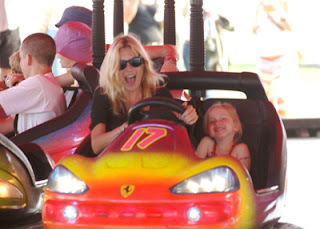 Ultra tin model Kate Moss was seen over the weekend piggy backing her her daughter Lila Grace and enjoying some bumper cars at the Isle Of Wight Festival over the weekend. 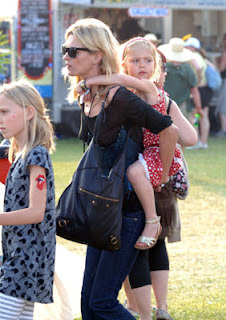 Lila is a spitting image of Kate. The two look adorable together.